AUBURN, Ala. (EETV) - A fourth grader at Lee-Scott Academy has been identified as a victim of Sunday's tornadoes, according to a Facebook post by the school. AUBURN, Ala. (EETV) - Tornadoes in the Lee County area have killed at least 14 people, Lee County Sheriff Jay Jones said Sunday evening. AUBURN, Ala. (EETV) - Macy's Thanksgiving Day Parade is a time-honored tradition on Thanksgiving Day. 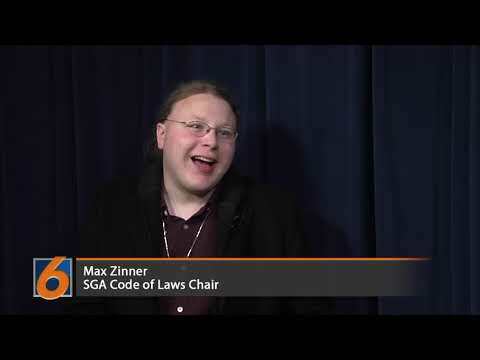 AUBURN, Ala. (EETV) - Auburn President Steven Leath spoke last week to faculty and staff at the State of the University address. AUBURN, Ala. (EETV) - Election Day in Auburn is August 28 and 31 candidates are vying for 9 positions in the Auburn City Council. AUBURN, Ala. (EETV) - Beloved Crepe Myrtle Cafe closed in February with plans to reopen but students won't have to wait much longer for their crepes and pastries. AUBURN, Ala. (EETV) - Hollywood stars visited the Plains Monday for the world premiere of the new comedy, "Life of the Party," starring Melissa McCarthy and directed by Ben Falcone. AUBURN, Ala. (EETV) - Tiger Dining is gearing up for several changes following signing a new contract with Aramark. AUBURN, Ala. (EETV) - Nestled between a golf course and I-85, the Auburn University Regional Airport is like a second home to the 41 members of the War Eagle Flying Team. WEFT competes in several competitions yearly. 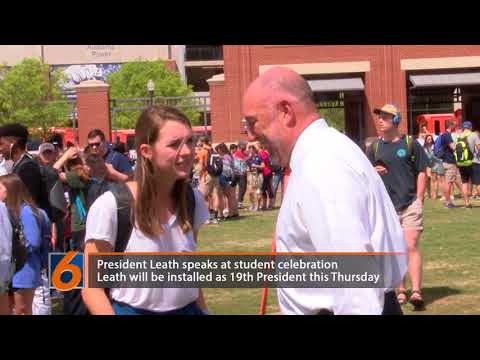 AUBURN, Ala . (EETV) - Auburn President Steven Leath joined students at a student celebration Wednesday for his upcoming installation. Students gathered on the green space for free burgers, root beer floats, t-shirts, music, and performances by on-campus organizations, the Auburn Pep Band and the Auburn Cheerleaders. The long-awaited Panera Bread that was scheduled to open in RBD Library has been abruptly replaced with "RBD Cafe," at least for now. AUBURN, Ala. (EETV) - Building heights in the downtown district were once again a topic of debate at Tuesday's City Council meeting. 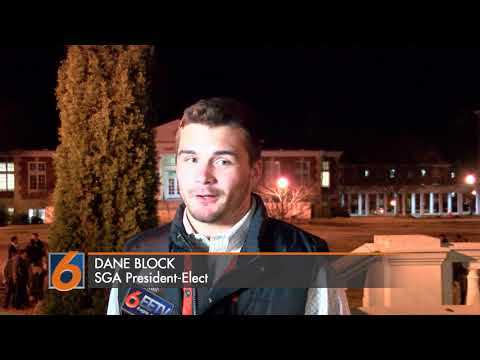 AUBURN, Ala. (EETV)- Dane Block has been elected Auburn University's next Student Government Association President. Block, currently an SGA Senator for the Harbert College of Business, beat Patrick Starr in the highly contested runoff. AUBURN, Ala. (EETV) - The sixth annual Polar Plunge hosted by the Auburn Parks and Recreation department Saturday morning went off with a splash. The event is the largest fundraiser for the Lee County Special Olympics. 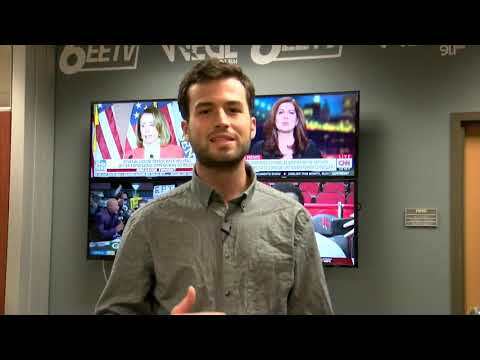 AUBURN, Ala. (EETV) - The SGA Senate will be voting tonight on a measure that could allow students to vote on a new ticket policy.